The Caribbean has spent hundreds of millions of dollars advertising their tourism product in the international markets. Yes, there is a sense of pride when you turn on CNN and see images of your island backed by local music but how effective are the ads in the current climate of social media and influencer marketing? Efforts have been made to use popular tourism bloggers and whisk them off to local properties in the hopes of motivating their readers and fans to visit. However, the effectiveness of this approach is not easy to assess. Nerissa Golden presenting at the Visitor Economy Conference at Bournemouth University in September 2017. 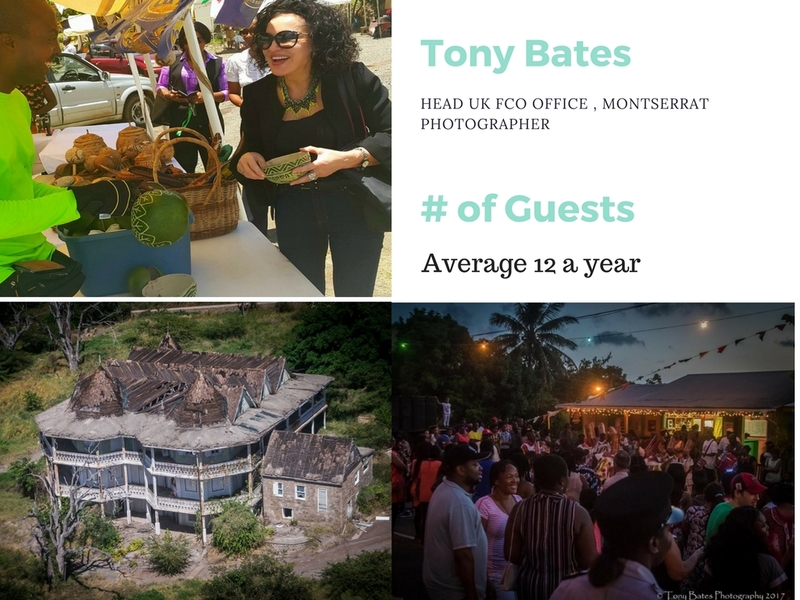 In the case of Montserrat, social media and national influencers are critical ways in which the island has remained visible in the absence of more than five years of a solid tourism strategy and budget in place. The number of visitors has once again begun to rise and whether officials acknowledge it or not, the work that influential Montserratians both at home in the Diaspora and residents do on social media can take the credit for this. I recently presented at the Bournemouth University Visitor Economy conference where researchers as well as industry professionals came together to discuss new approaches and trends in the tourism sector. 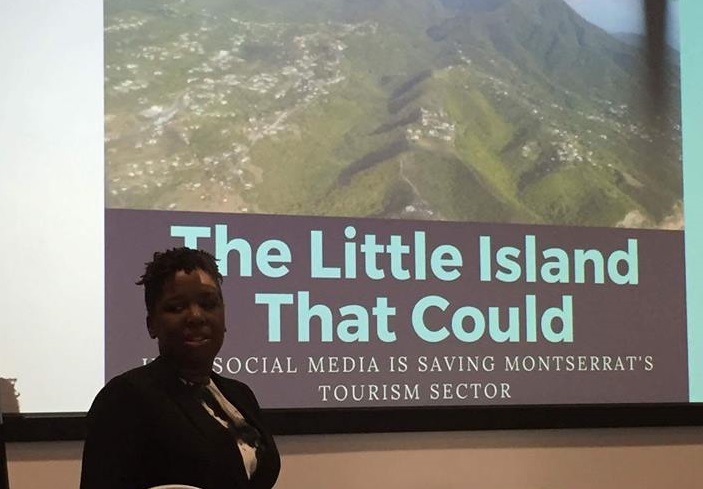 The Little Island That Could: How Social Media is Saving Montserrat’s Tourism Economy was the title. I aimed to show how the work of individuals both at home and off island was moving the tourist visitor numbers up, despite no tourism strategy or budget. In 1995 at the start of volcanic activity, Montserrat welcomed annual visitor arrivals of 36,400. By 2010, less than 5000 visited the island. The tourism department boasted in 2011 that their tourism Facebook page had more friends than the island’s population. Facebook is the number one social platform in use by Montserratians to stay connected to life at home. 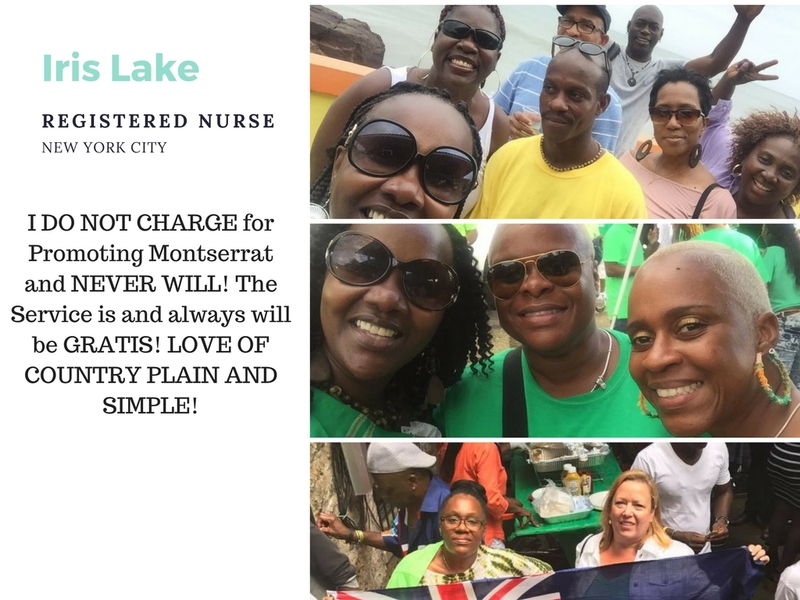 In early 2017, Global Head of Diversity for Facebook Maxine Williams revealed Montserrat had more international connections than any other nation on the planet. That got me wondering if there was a way that we could use social media individually, collectively and intentionally to tell our stories and invite our connections to visit. Social media is a two-edged sword. You may find those who only share the good and the beautiful, and others who share the island’s dirty laundry as well. However, the strategic importance of influencers to maintaining the conversations that are needed cannot be overlooked. Nigel Williams PhD, a Trinidadian professor at BU has been working with Caribbean organizations to help them map the influencers in their network. Whereas corporate brands such as in the beauty industry may select an influencer for their thousands or millions of followers, Williams believes that influencers which can connect islands to their very powerful Diaspora market need not have thousands of friends or followers on social media. “Follower numbers can be faked. What is more important is looking at the level of engagement someone receives from the content they share,” he explained. In my presentation, I highlighted the current social media and travel practices of Montserratians such as Gary Morton and Iris Lake, both of who live in the United States but travel home regularly to enjoy the island and bring friends and family with them. Whether through Facebook Live events on Festival Day or constant images of them having a good time at St. Patrick’s Day and selfies with friends that have not been home for ages, they showcase the island to their network. Iris isn’t interested in being compensated for what she does. However, tourism officials are missing out on valuable knowledge that she and other influencers glean from engaging with their friends and followers on social media and after they have visited the island. Pamela Holley is from Vermont and has been a visitor and now a resident on island for more than 20 years now. Her daily images reflect her love for cats, champagne and Montserrat’s sunsets. Holley was referenced by other expats as the reason they first visited the island and eventually chose to purchase property, either to live in full time or to promote in the villa tourism economy, which was once the mainstay for Montserrat. 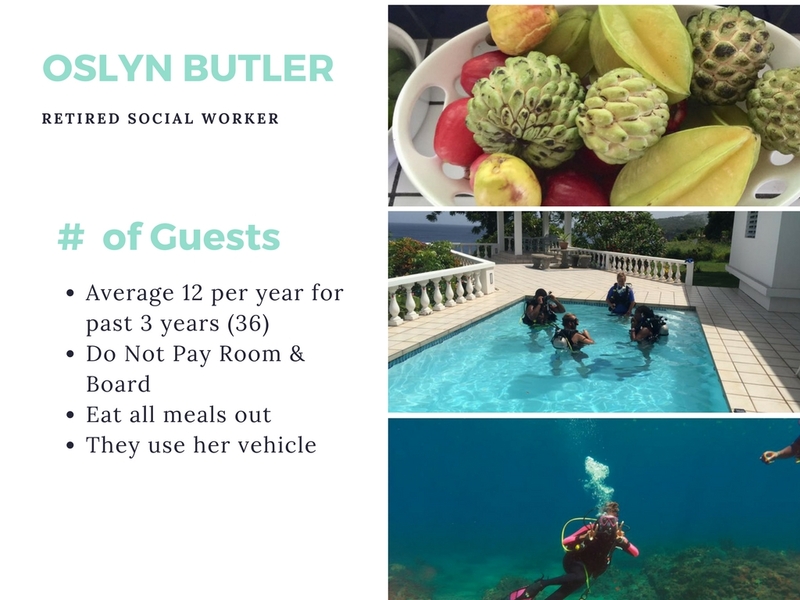 Oslyn Butler is a retired social worker who moved back to Montserrat permanently in 2014. You would think from her daily videos and photos that she is on an extended vacation. She chooses to present a side of life on the island, which you usually only see from visitors. Butler has hosted an average of 12 visitors per year for the last three years. Morton, who owns property on island, has had more than 100 guests stay at Chez Mango Villas in the past three years. Photographer and Head of the Governor’s Office on Montserrat Tony Bates, is becoming an influencer in his own right. He also averages about 12 visitors a year and his photos which are shared on various platforms helps to tell our story. Since 2010, I have watched how Facebook has transformed the connection that many Montserratians have with their homeland. Increased activity on the platform to showcase the island in a more communal way by pages such as My Montserrat, Spirit of Montserrat and Discover Montserrat has allowed for nationals, many who had not returned for 30 years or more or since leaving after the volcanic exodus to consider returning. It was not unusual to hear people say they were afraid of the volcano erupting while they were there. It was also not unusual to read the comments of shock and awe that the island was blooming with the same luster that earned it the moniker The Emerald Isle of the Caribbean. Why are these people and platforms important? Why do we call them influencers? By 2012, visitor numbers were at 4498, 5151 in 2013 and 8944 by 2015. 8734 tourists came to Montserrat in 2016. Of that number, 5636 stayed in private homes. Some would argue that this is not a good move and maybe it should not be encouraged. However, with our hotel and villa capacity at less than 300 beds, tourists who stay in private homes is a critical part of our visitor economy. Some may not pay accommodation fees to their family but they do tend to eat out more, rent vehicles and participate in social activities. For islands such as Montserrat to reap the real potential from influencers within their network, tourism officials, hoteliers and others in the sector need to identify who they are. Williams’ work to help map social media influencers’ networks is one way this can be done. While some influencers such as Holley and Lake are not interested in being compensated for their work, it is possible to contract others to encourage their continued support for the island. They should also be invited to share ideas and feedback from friends and family about their visit. Ignoring the first-hand information which they have is to put at risk the very sector which is growing and sustaining the market. Nerissa Golden is the Founder and Editor of Discover Montserrat. She is also a media strategist who works with corporations and entrepreneurs to connect their messages with the right audience.